SANTA MONICA, CALIF (August 31, 2016) – It’s a fight that both men have had their sights set on for quite some time, and now it serves as the main event of Bellator MMA’s return to the at SAP Center in San Jose, Calif. on Nov. 19, when Michael Chandler (15-3) defends his Bellator MMA Lightweight Championship against Benson Henderson (24-6). The tilt anchors a card that also features a welterweight feature bout pitting undefeated British striker Michael “Venom” Page (11-0) against Menifee, Calif., native Fernando Gonzalez (25-13), after the two had originally been scheduled to fight at “Bellator 151” and “Bellator 158.” Additional contests will be announced in the coming weeks. Tickets for “Bellator MMA in San Jose” go on sale this Friday, Sept. 2 at Bellator.com, as well as SAP Center Box Office and Ticketmaster. Bellator Nation presale offer will take place Thursday, Sept. 1. “Iron” Michael Chandler will look to defend his belt for the first time since having it wrapped around his waist following a devastating first-round knockout over Patricky “Pitbull” at “Bellator 157: Dynamite 2.” A 15-fight veteran of Bellator MMA, Chandler has consistently proven that he belongs among the world’s elite; collecting memorable wins over who’s who at 155-pounds including UFC lightweight champion Eddie Alvarez. The 30-year-old Missouri native now looks to capture his third career title defense, after successfully defending the belt at both “Bellator 85” and “Bellator 97” during his 2013 reign. 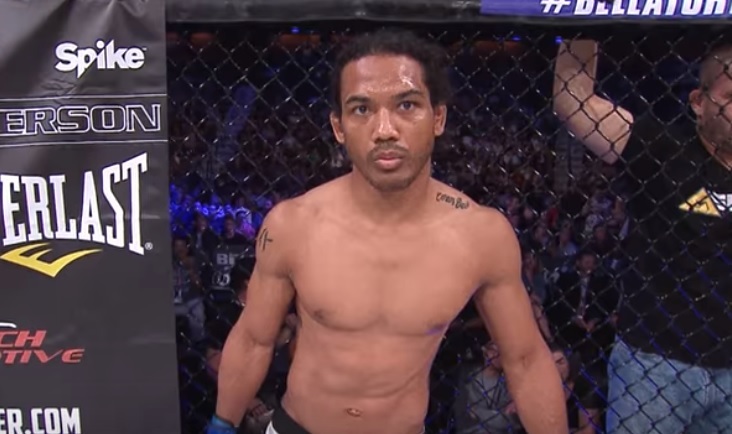 The veteran enters his fight with “Smooth” riding a hot streak of three straight victories and now sets his sights on handing Henderson his first Bellator MMA loss at lightweight. Fresh off his victory during the main event of “Bellator 160: Henderson vs. Pitbull,” Henderson has earned a title shot in the ultra-competitive lightweight division against its current titleholder in Chandler. With 10 of his 24 career wins coming by way of submission, the 32-year-old Glendale, AZ native will try to do what no other opponent has ever done and finish Chandler via submission. 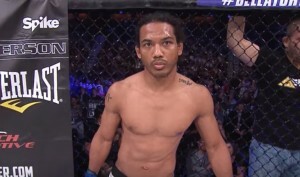 Nicknamed “Smooth” for his silky style and demeanor, Henderson took care of business in his most recent bout, utilizing impeccable technique to defeat Bellator MMA veteran Patricio “Pitbull” Freire after a broken fibula forced the Brazilian star to forfeit in the second round. Henderson hopes to avenge his first title shot with the promotion and trot off with Bellator MMA gold on Nov. 19.